St John offers a range of nationally accredited courses as well as shorter, non-accredited training options - meaning there’s an option for everyone, no matter what your reason is for learning first aid. Book a first aid course online today. Book a free first aid assessment for your workplace. Not sure of the right course for you? Let us help! For 125 years, St John has been training the WA community in lifesaving first aid skills. 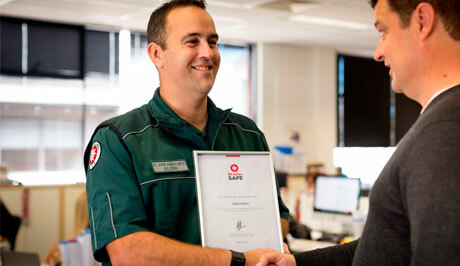 Learning first aid with St John Ambulance Western Australia puts you in a class above the rest. 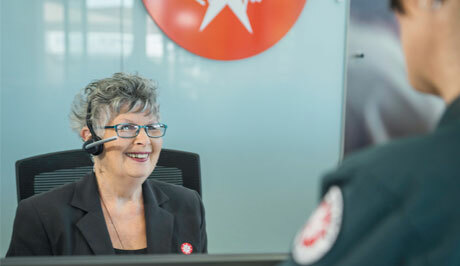 With more than a century's experience, St John Ambulance Western Australia is a high-quality, world-recognised first aid training provider. We lead the way in first aid training solutions, techniques, materials and equipment and our focus on ‘hands on' scenario-based learning produces more confident and skilled first aiders. Completing a St John Ambulance Western Australia first aid course will earn you an official Certificate of Attendance and with specific courses, a nationally recognised Statement of Attainment. Certain courses also comply with the WA Worksafe requirements as outlined in the Code of Practice. This accreditation may assist in access to employment, as St John Ambulance is regarded as the training provider of choice by many large mining and construction companies. Our extensive range of first aid training courses cover everything from basic resuscitation and first aid awareness, through to advanced industrial application. Competitively priced; there are courses designed specifically for workplaces seeking compliance, remote industrial and resource sites, families and those on a tight timeframe. Course can be customised for a particular job, industry or location on application. As a nationally accredited training organisation, the content of our courses has been authorised by national medical and technical advisory committees, ensuring we teach the latest techniques and our course content is regularly revised to meet both international and Australian standards. All St John Ambulance Western Australia trainers are rigorously trained in the latest first aid procedures, techniques and equipment and many have a background in first aid, working as Event First Aiders or Volunteer Ambulance Officers. Our expert trainers can conduct courses at our fully-equipped training centres or on-site, and group training can be provided during the day, evenings or on weekends. To view our permanent training locations, please click here. Courses can be designed to suit you or your company's needs. Speak to one of our Corporate Services Consultants to ensure you are getting the most out of your first aid training experience. St John Ambulance Western Australia's national Registered Training Organisation (RTO) number, via the College of Pre-Hospital Care, is 0392.